Pushing parental responsibilities to the side or leaving a full-time job at a moment's notice was once the life of an NHL emergency goaltender. Now, NHL teams are mandated to have one in the stands for each of their 41 regular-season games. 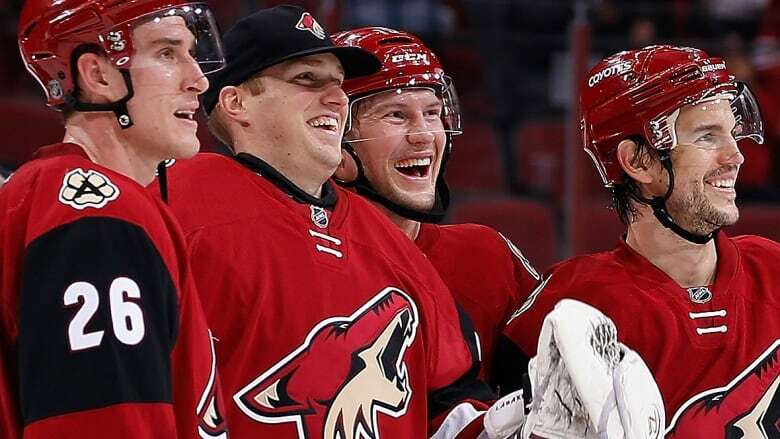 Part of Nate Schoenfeld's job as relations manager with FineMark National Bank & Trust in Scottsdale, Ariz., involves paying the bills and shopping for insurance on behalf of 10-12 Coyotes players. The son of Jim Schoenfeld, the former NHL player, Coyotes head coach and current New York Rangers assistant general manager, often wonders when he might get another opportunity to be their teammate — on the ice. 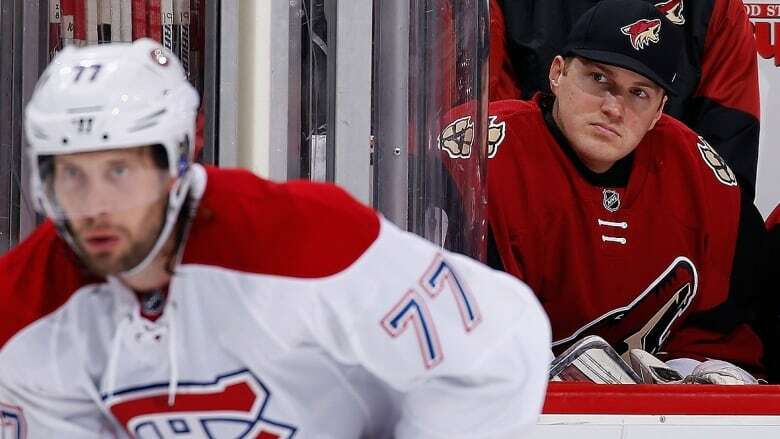 Nate Schoenfeld was in his first season as Arizona's emergency goaltender and bathing his five-week-old twin boys when he was called to Gila River Arena on the night of Feb. 15, 2016 to sit on the bench and back up starter Louis Domingue after Anders Lindback suffered an Achilles injury before the game. "Driving to the rink," remembers Schoenfeld, "I was calling all my family and friends. Getting dressed [in the Coyotes' room] my hands were shaking. After the game, I checked my phone and I had almost 200 text messages and others on Twitter and Facebook." The Buffalo-born Schoenfeld, who hasn't suited up for the club since that 6-2 win over the visiting Montreal Canadiens, believes he'll be in the crowd for 30 of the Coyotes' 41 home dates this season as a new NHL rule mandates teams have an emergency goalie present in the stands ready to fill in for either team. Of the NHL's 31 squads, only the Los Angeles Kings and New Jersey Devils held open tryouts to identify suitable emergency fill-in goalies. Now that he's required to be on site for games, Schoenfeld is discussing compensation with the Coyotes after working under a petty-cash agreement the past two seasons during which he would receive game pucks, scoresheets and other team memorabilia for his services. Last February, the team covered Schoenfeld's expenses when the one-time Arizona State University goalie drove two hours to Tucson to serve in an emergency role with the AHL's Roadrunners. "It's been a blast, and the players have fun with it, too," says Schoenfeld, 33, who has participated in "a few" Coyotes practices, skated with alumni and attended rookie camp for a day to give other goalies a breather. "After I was done university, I actually sold all my goalie gear," added Schoenfeld, whose father-in-law is Stan Wilson, Arizona's head equipment manager. "A few years later, I skated with the Coyotes for two or three weeks before training camp [in 2015] and it built from there." Todd Ford, whom the Toronto Maple Leafs drafted in the third round in 2002, is in his third full season as one of the Calgary Flames' emergency goalies. "It's the second-best job you could have besides playing hockey," Ford says of being a full-time firefighter with the City of Calgary. "It's a locker room atmosphere, hanging out with the guys and girls you're working with. You find yourself in situations, when on call, that lead to massive team work and situations when you have to trust each other." After failing to land a NHL job with Toronto, the 33-year-old twice was invited to Washington's training camp in 2009 and 2010 but didn't sign. Ford struck a one-year, $500,000 US deal with the Capitals in February 2011 to serve as Michal Neuvirth's backup for two games after usual AHL call-ups Braden Holtby and Dany Sabourin were injured. 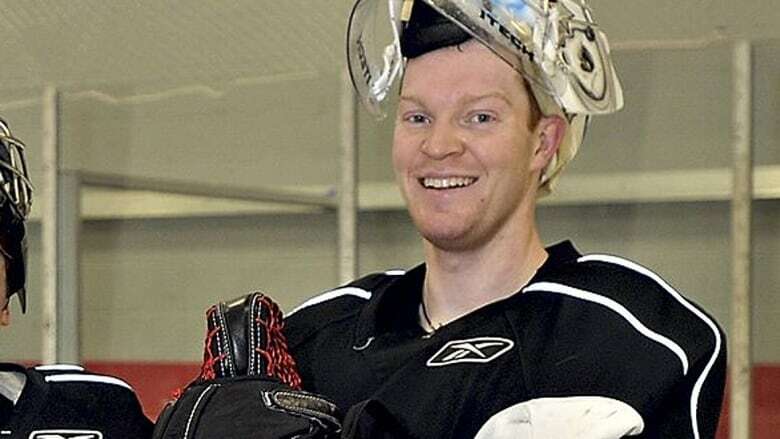 Ford, who appeared in 42 AHL contests, retired as a player in 2012 but late in the 2014-15 NHL campaign received a call from Flames goalie coach Jordan Sigalet to report to the press box at Calgary's Saddledome as insurance. He remained with the team, has been "thrown a little bit of cash" along the way and expects to attend 20-28 games this season. A week ago, Sigalet texted Ford asking if he could fill in for Mike Smith at practice, where he faced shots from veteran NHL forward and Flames newcomer Jaromir Jagr. "When I retired, I knew I wanted to be part of the game somehow. When the opportunity came up with the Flames to watch games … and once in a while throw a practice in, I find that a lot more fun than playing in the beer leagues," says Ford, a goalie coach at Mount Royal University in Calgary. "It's great to be in the rink … and take a little bit from the world-class goalies and apply it to my coaching." Meanwhile, fans in Raleigh, N.C., shouldn't expect Hurricanes equipment manager Jorge Alves to don the pads this season. An ex-Marine and former minor leaguer, he replaced starting goalie Cam Ward and played the final 7.6 seconds of a 3-1 loss last New Year's Eve when backup Eddie Lack was too sick to play. This season, the team's emergency duties will be shared by North Carolina State University grad Calvin Stone and Spencer Williams, who plays up to three times a week for two teams in the Raleigh-based Polar Adult Hockey League. A 28-year-old computer engineer, Williams played competitive hockey until age 19, primarily for the double-A East Coast Eagles in Raleigh, and has played in local adult recreational leagues since attending engineering school at NC State. "My best friend Tyler Reiss, who I've known since I moved to Raleigh [from Asheboro, N.C.] got me into hockey at around age nine. We played street hockey all the time and eventually worked our way up to roller hockey and ice hockey," says Williams. Williams graded the highest in a poll of local college coaches and several adult league players conducted by former Hurricanes right-winger Shane Willis, now the team's manager of youth and amateur hockey. "It's a big honour to have their respect," says Williams of the local coaches and his peers. "The Raleigh hockey community is great. It's amazing to me how many people I know and friends I've made through playing. "I have a great deal of respect for the players that dedicate their lives to achieving their hockey dreams and making it to the NHL. I'd much rather people focus on their achievements and see them play, but I'll be in the stands just in case."